Having a read-more option in the posts can highly encourage readers’ click-throughs and help you track your most popular entries. 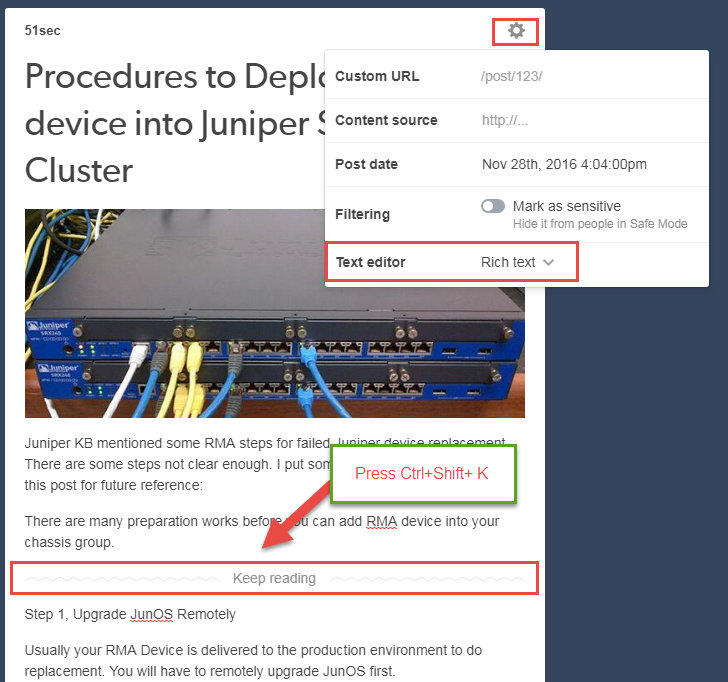 Adding read-more button is more than easy, this tutor post will show you how to Insert Read More Option on those popular blog websites such as Blogger, Tumblr, Weebly and WordPress. The code is different from Blogger and Wordpress. 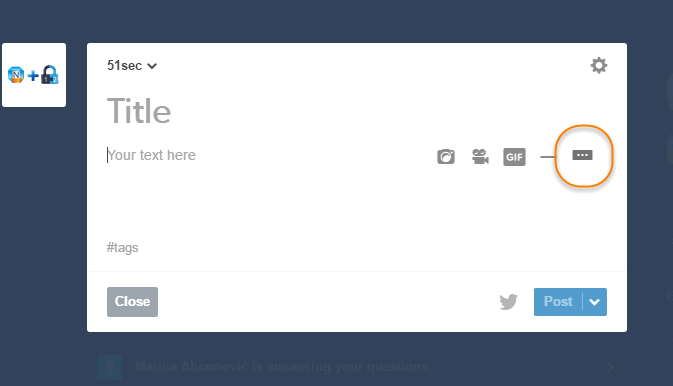 Note: Now at Rich text mode , Tumblr has a keyboard shortcut for the read more link. Press Command + Shift + K (Mac) or Ctrl + Shift + K (Windows), -----Keep reading---- line will be added into your cursor location. It is a little bit tricky to add read more link break into your post. You will have to create two separate Embed Code sections then add 'Read more Break' separator between. 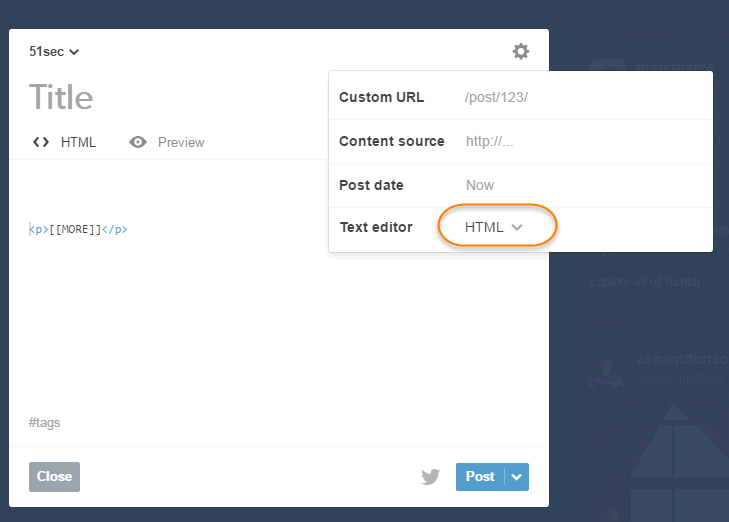 You wont be able to manually enter code into your html content of Embed Code section. 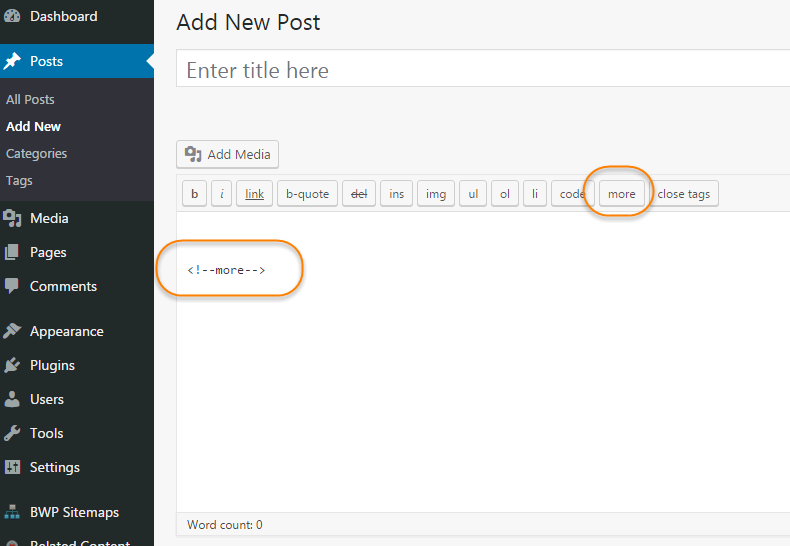 Wordpress Read More code is same as blogger.